Maharashtra chief minister Prithviraj Chavan said Kasab has been buried inside the Yerwada jail. Sushilkaumar Shinde spelt out the reasons for secrecy over Kasab's hanging. He said the government didn't want any untoward incident and hence it was carried out in a secret manner. It is noteworthy that a major attack was planned in response to the killing of Qateel Siddiqui, who was accused of aiding 26/11. A series of blasts was scheduled to be carried out on August 1, but as the mechanism failed and bombs could not explode. As a result major disaster was averted. The authorities, therefore decided not to take any chances with Kasab's hanging. Kasab's dengue was, after all, a clever ruse used by the authorities, who checked if Kasab was medically fit for hanging. 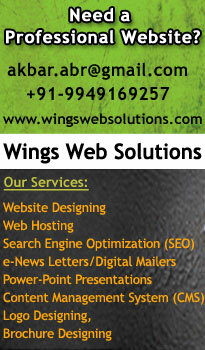 It is now being revealed that Kasab was checked in the guise of dengue and was declared fit. It's mandatory in India to check the convict before he is hanged. Shiv Sena MP and spokesperson Sanjay Raut said Kasab's hanging was a true shraddhanjali to his party chief Balasaheb Thackeray. "I congratulate Maharashtra government and I believe this is true shraddhanjali for Balasaheb. He had been demanding death for Kasab till his last breath," Raut said. Crackers started bursting in Pune as soon as the Kasab's hanging news was flashed on channels. Thacekray's ill health and subsequent death had muted Diwali crackers. There is no word yet on where Kasab will be buried. Mumbai police had buried the other nine terrorists in 26/11 attacks at a place in a similar secret operation. Pakistan, where the terrorists were trained, has steadfastly refused any role in the attack and therefore their bodies were refused. This is after 14 years that a convict has been hanged in Yerawada jail. Kasab's mercy petition was rejected by the President Pranab Mukherjee on November 8. Our agencies had killed 9 terrorists on the very day of the attack. Our brave officers managed to capture Kasab alive. He was tried before the special court, and all judicial processes were duly followed. We have shown the world how India follows all laws and conventions, Patil said. In absence of a hangman to execute the death sentence of Kasab, the terrorist was hanged by the officials from the Yerawada Central Jail. Doctors pronounced Qasab was dead after he was duly hanged as per process. 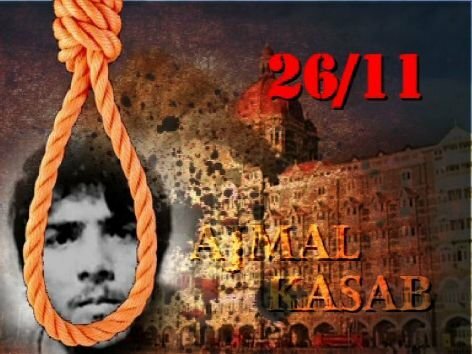 State Home Minister R R Patil declared officially that Pak national Ajmal Amir Kasab, convicted in the 26/11 terror attacks, has been hanged to death at Yerawada jail in Pune at 7.30 am this morning. our security agencies, but also our judiciary system, Home Minister R R Patil said while speaking at a press conference in Mumbai. I believe this is the true shraddhanjali to the victims and officers who died in this attack on India, Patil said. Barely a week before the fourth anniversary of Mumbai terror attack, a convict in the attack and Pak national Ajmal Amir Kasab was hanged to death at Yerawada jail in Pune at 7.30 am this morning. Kasab's death sentence was confirmed by the Supreme Court earlier this year. Kasab had sought presidential pardon, but it was rejected earlier this month. In a swift and absolutely close-guarded manner, state authorities moved Kasab to Yerawada jail from his high-security prison at Arthur Road in Mumbai. It is estimated he was brought to Pune about 30 hours ago, even as the state was mourning death of Shiv Sena chief Bal Thackeray. State Home Minister R R Patil is expected to hold a press conference in a short while to confirm Kasab's hanging. Speaking to television channels, Patil confirmed the hanging, but refused to divulge any more details.